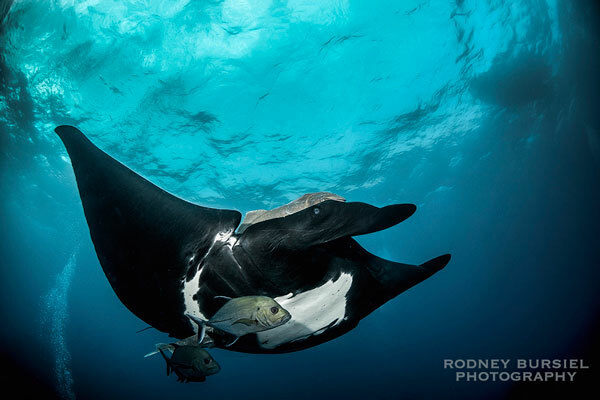 I recently read an article that noted human encounters with giant mantas are very rare. This may be true in most areas, but not in the Socorro Islands. If you are looking for the perfect opportunity to photograph these gentle giants, this is the place. 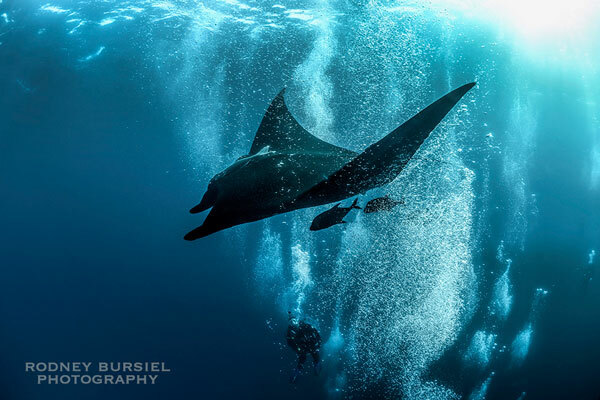 The dive site El Boiler off the island of San Benedicto is a cleaning station where the mantas come in for a cleaning by the resident clarion fish. 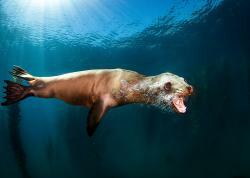 They tend to be very curious and love getting bubble baths from the divers. Below are a few tips that will help you bring home some exciting images. 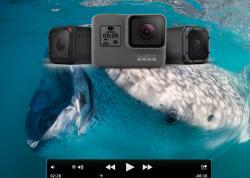 Bluewater Travel can help you plan and book the perfect Socorro Islands dive trip. Visit BluewaterTravel.com for more info. 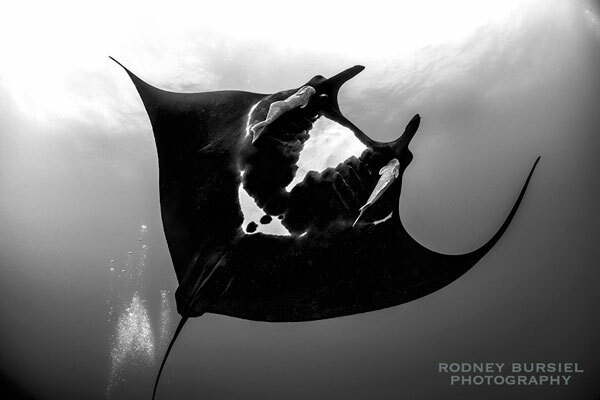 There are just a few simple things that I would recommend in order to get the best shots of the mantas at Socorro. The more important tip for capturing great manta shots takes place before you get into the water: you need to have the right equipment. 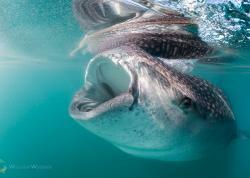 You will have the opportunity to get extremely close to the mantas, so I would highly recommend a fisheye lens. For these shots I had a Nikon 10.5 DX fisheye on my Nikon D800, which I’m actually looking to trade for a 16mm FX. The lenses are essentially the same, but the 16mm FX will provide better results for my large prints. I was shooting with dual Ikelite DS-160 strobes, but these were not necessary since the average depth for this dive was about 40 ft. You can go deeper, but in my experience there was better action in the shallower water, and better light if you don’t have strobes. I used the strobes for a certain effect; I liked adding that pop to the picture. Just be careful not to have them too strong if you are especially close. 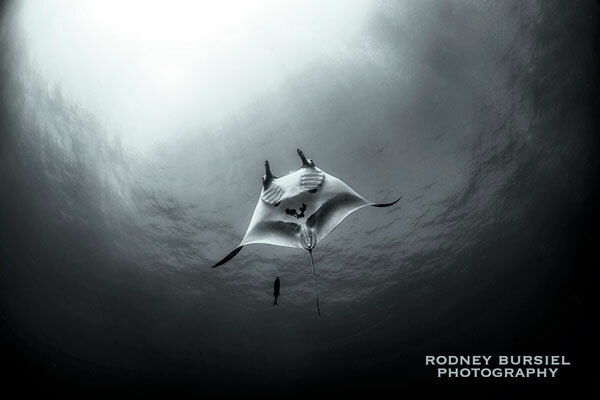 The white on the mantas is highly reflective and can wash out your shot. Also, when not using strobes, make sure the sun is behind you to light the subject with ambient light, unless you are going for a silhouette. Be patient and let the manta rays come to you. The mantas will make their rounds checking out all the divers, so don’t waste your energy chasing them around. You will get a much better shot if you wait. When I see a manta approaching me, I like to position myself just above or just below its intended path. Straight-on shots just aren’t as dramatic-looking in my opinion, as I like to capture more of the animal to get more energy into the shot. I also like to include the bubbles of the other divers. To me it creates a much more interesting photo. If you are going for the bubble shot though, make sure to clean them off your dome port before you shoot. Shooting mantas is pretty simple. Just relax and let them come to you, and remember: they love the bubbles, so the more bubbles around you the more action you will get. Be careful and pay attention to your surroundings – Socorro is in the middle of the ocean. It’s easy to get caught up in the moment with one of these guys and stray off course. And remember to have fun! Nikon D800 with Nikkor 10.5mm fisheye lens. Dual Ikelite DS160 strobes. 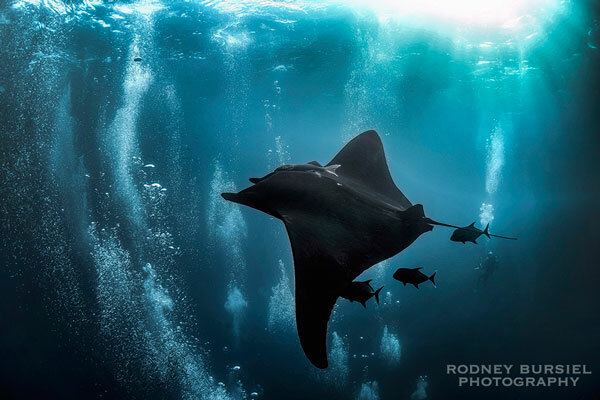 Rodney Bursiel is a music, surf and underwater photography. When he is not at home in Austin photographing the music scene, he is traveling the world chasing waves and capturing the underwater world. You can see more of his work at www.rodneybursiel.com.